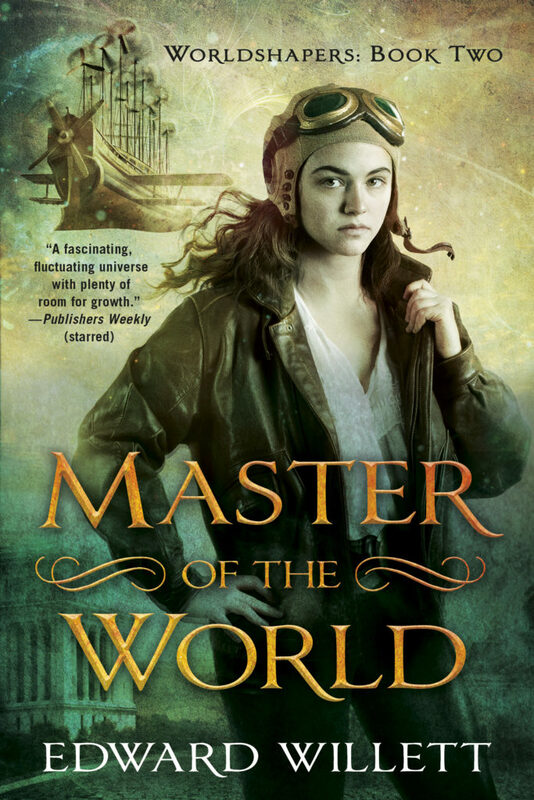 I’ve turned in the manuscript for Book 2 in my new adult fantasy series Worldshapers to DAW Books (publishers of The Masks of Aygrima), and the cover art is already out and about on bookstore sites everywhere. Pretty cool, huh? Like the art for Worldshaper, Book 1 in the series, it’s by Julia Kolesova. 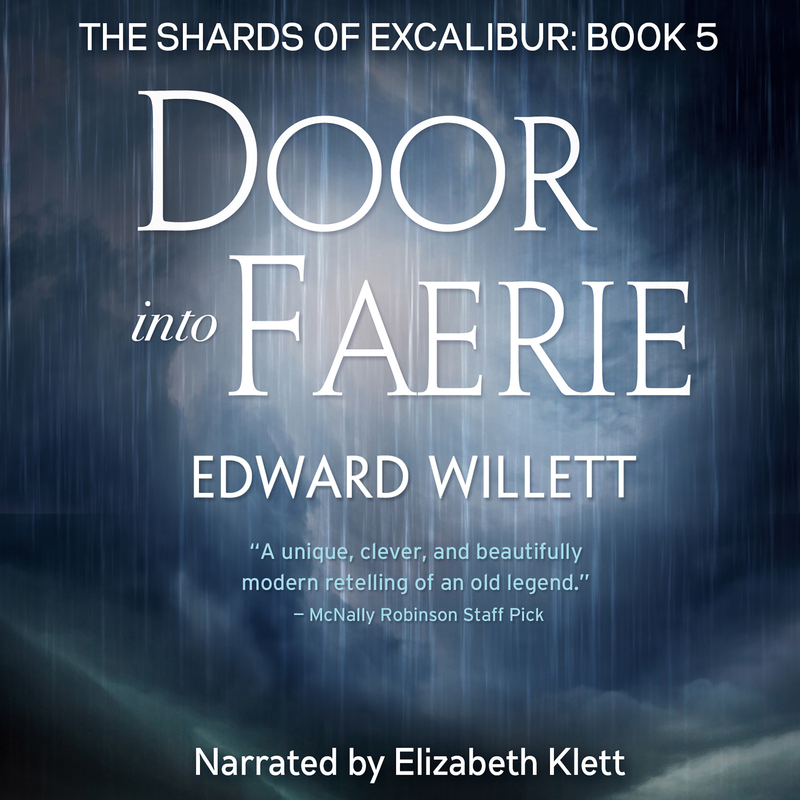 From an Aurora Award-winning author comes the second book in a gripping portal fantasy series in which one woman’s powers open the way to a labyrinth of new dimensions. Shawna Keys has fled the world she only recently discovered she Shaped, narrowly escaping death at the hands of the Adversary who seized control of it…and losing her only guide, Karl Yatsar, in the process. 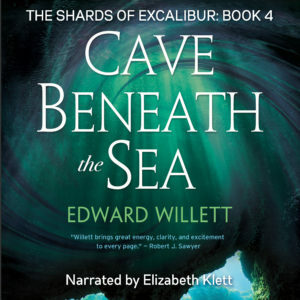 Now she finds herself alone in some other Shaper’s world, where, in her first two hours, she’s rescued from a disintegrating island by an improbable flying machine she recognizes from Jules Verne’s Robur the Conqueror, then seized from it by raiders flying tiny personal helicopters, and finally taken to a submarine that bears a strong resemblance to Captain Nemo’s Nautilus. Oh, and accused of being both a spy and a witch. Shawna expects–hopes!–Karl Yatsar will eventually follow her into this new steampunky realm, but exactly where and when he’ll show up, she hasn’t a clue. In the meantime, she has to navigate a world where two factions fanatically devoted to their respective leaders are locked in perpetual combat, figure out who the Shaper of the world is, find him or her, and obtain the secret knowledge of this world’s Shaping. Then she has to somehow reconnect with Karl Yatsar, and escape to the next Shaped world in the Labyrinth…through a Portal she has no idea how to open. Thrilled to announce that Paths to the Stars, my collection of science fiction and fantasy short stories, the initial release from my own Shadowpaw Press, has been shortlisted in two categories for this year’s Saskatchewan Book Awards. The book, which features twenty-two short stories, most previously published but a few published for the first time, was shortlisted for the City of Regina Book Award, for best book by a Regina author, and the Muslims for Peace and Justice Fiction Award, for best work of fiction. The awards will be presented at a gala dinner in Regina on April 27. Each award comes with a $2,000 cash prize. 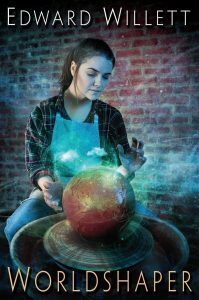 My ninth novel for DAW Books starts off a new adult fantasy/science fiction series called Worldshapers. The artwork is by Juliana Kolesova. 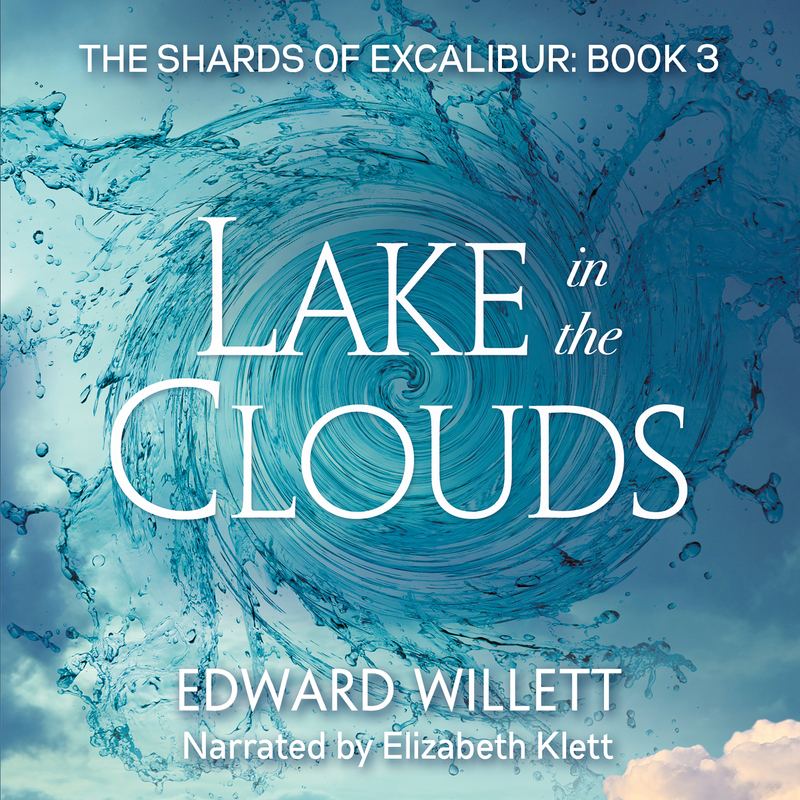 The audiobook version of Lake in the Clouds is now available, once again narrated by the amazing Elizabeth Klett, who also narrated Song of Sword and Twist of the Blade, and has already recorded Cave Beneath the Sea and Door into Faerie, coming soon! 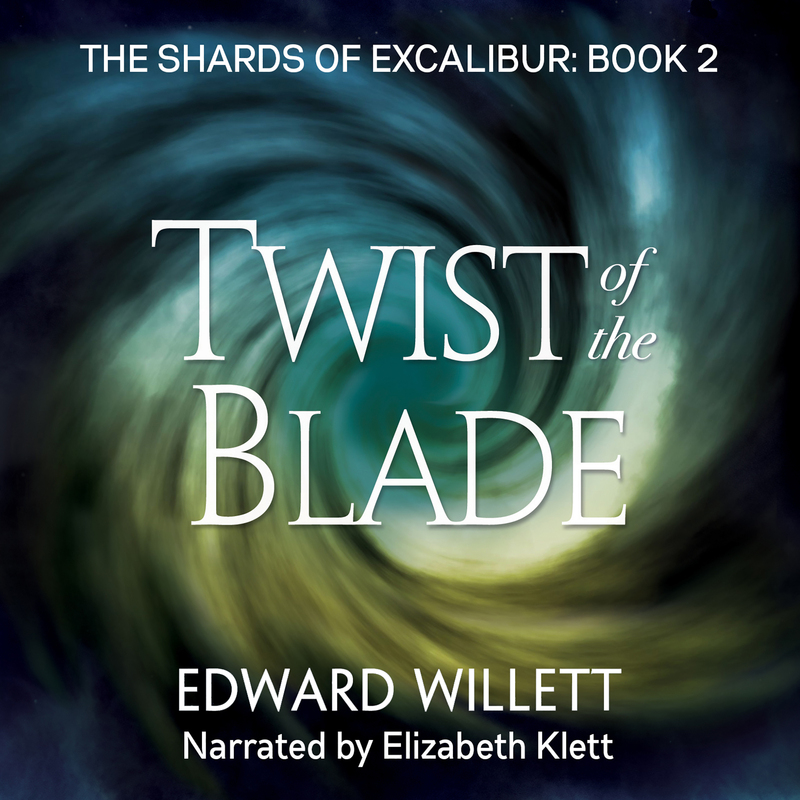 “For me, this story was a very satisfying follow-on to book 2 in the series. Wally plays a much larger part in this one, something which I very much welcomed. His internal struggles as he tries to balance his worry for Ariane against his growing suspicions about Rex Major’s real plans for her and himself really helped to flesh out this character for me. It made the race to find the next shard that much more interesting. 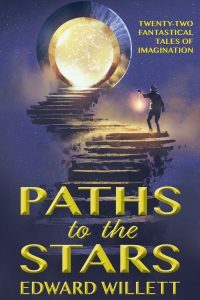 “After the frustration of all the conflict between him and Ariane in the previous book, I was relieved to see this book make the shift towards understanding … even if it takes nearly the whole adventure to get them there. I also really enjoyed the way Mr. Willett uses humor – mostly at Wally’s expense – in getting the two teens back to working together again. “Ms. 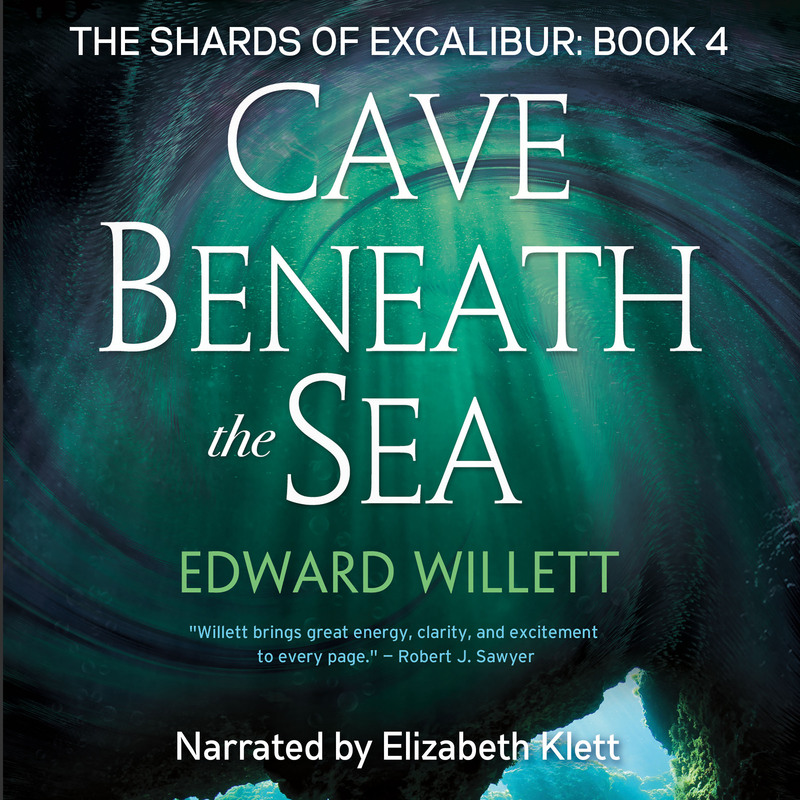 Klett’s narration is, as usual, superb. I cannot overstate how well she handles the voices of all the characters; at no point is there any confusion as to who is speaking, and both male and female characters are voiced equally well. 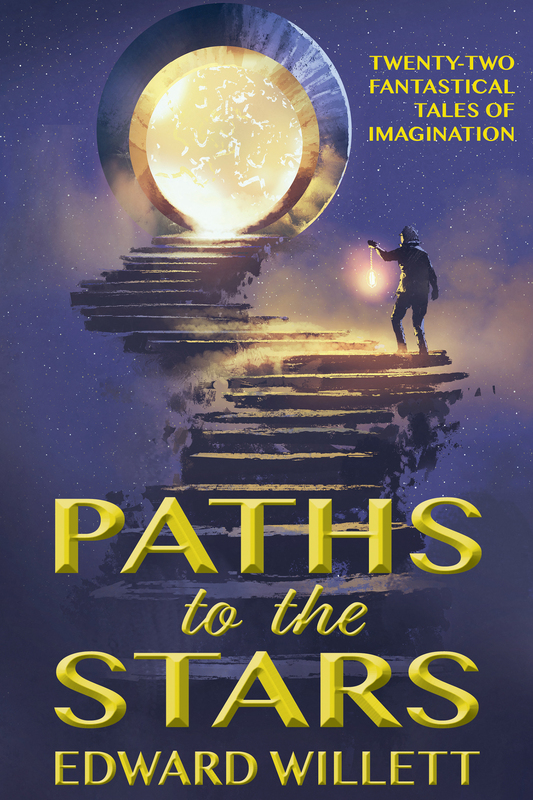 My new short-story collection, Paths to the Stars: Twenty-Two Fantastical Tales of Imagination, has just been released by Shadowpaw Press. The stories in it span my writing career–the oldest is one I wrote at age 19 (or possibly 18, I’m not sure) at Harding University; the newest just came out earlier this year. They’re roughly fifty-fifty young adult and adult stories (but don’t worry, the “adult” stories are also YA-friendly). 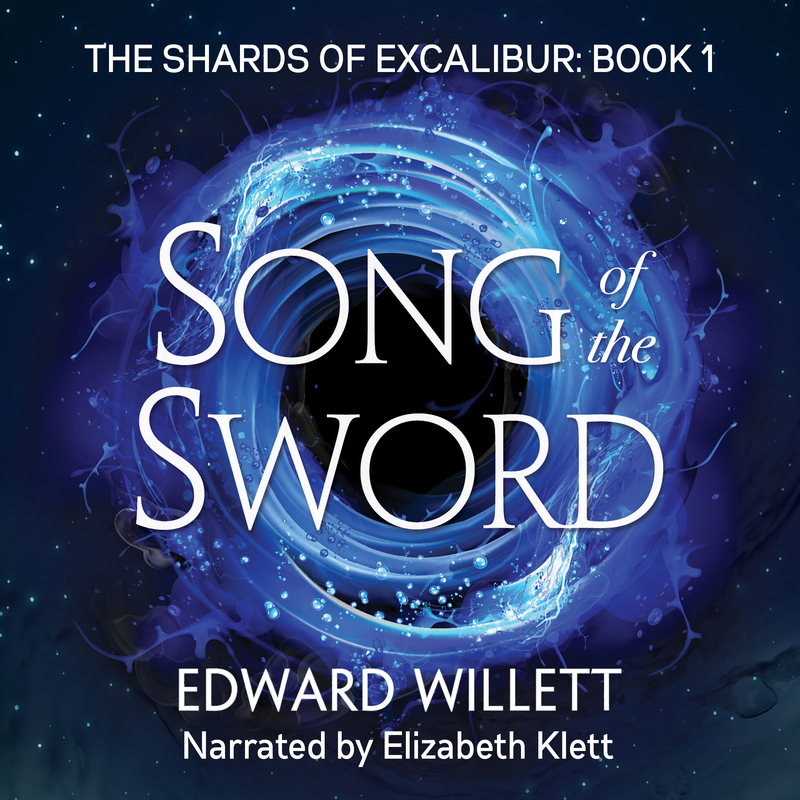 Among other things, you can buy autographed copies of any of the Shards of Excalibur books, or even buy a complete set (for just $65 Can.). 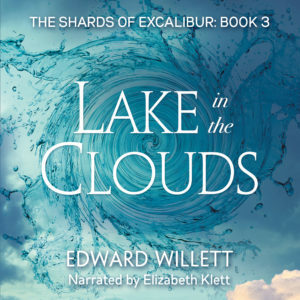 From Edward Willett, Aurora Award-winning author of Marseguro, The Cityborn, and Worldshaper(DAW Books), among many others, comes twenty-two tales of fantasy, science fiction, and fantasy, drawn from a long career of telling fantastic tales. 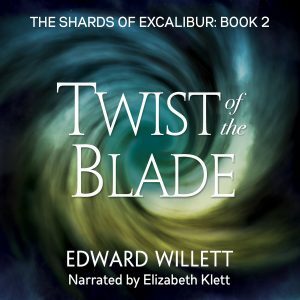 What else will be coming from Shadowpaw Press? Up next mightbe Blue Fire, a re-issue, with a new cover and layout, of Flames of Nevyana, taking it back to its original title (might be, because my editor at DAW Books is taking a look at it first to see if she might be interested). If I release it myself, I’m leaning toward releasing that one as an E.C. Blakebook, since that might garner interest from readers of the Masks of Aygrimatrilogy. And after that? I want to pull the First World War memoirsof my grandfather-in-law, Sampson J. Goodfellow, into a book. It needs a good edit and some other work, but I think it could be interesting to readers, especially with the 100th anniversary of the Armistice coming up–which is approximately when I’d like to have it out.